The morning of November 9, 2016 America and the world awakened to a major shift in politics and government. Donald J. Trump, against all predictions and polls, had just become President Elect of the United States. A surprised media and nation began to adjust their thinking to this shift in power and the potential new directions it would take. In many ways, we were witnesses to a paradigm shift. Paradigms are patterns or models of behavior from which persons and groups live out our everyday lives. These patterns become our “status quo” – the way we do things, the way we think about things. For many years, the scientific world believed that the earth was the center of the universe. The Copernican scientific revolution changed this thinking by “pointing out the holes” and shifting to a new model, which moved the sun, not the earth, to the center place in the universe; around which all the planets, including the earth, orbit. This was a major shift in thinking – a paradigm shift. Similarly, when Donald J. Trump, won the presidency of the United States, he caused long held political patterns of belief and behavior to shift. He ran as a political outsider – a celebrity businessman who had held no prior elected office. He ran an unconventional campaign, built around a populace message and the use of social media, wherein he served as the star attraction. He rejected the conventional wisdom of ground game organization, balked at the notion of political handlers, and employed rhetoric and language that was shocking and offensive to many. In using him as an example of paradigm shift we are not endorsing his behavior or leadership, just pointing out the radical change his candidacy and election introduced. This change became especially notable as his path to election was compared to that of his opponents. He defeated sixteen other, mostly conventional candidates, for his party’s nomination in a primary process that was anything but predictable. And, in the general election, he faced a savvy political veteran of the Democratic party with over thirty years in government experience, identified at times, by President Obama, as “the most qualified candidate” ever to run for the nation’s highest office. Yes, Hillary Clinton, was herself a flawed candidate in many ways, but in comparison to Mr. Trump she represented the status quo of presidential aspirations and major party politics. True, she was the first woman to win a major party’s nomination for the presidency. But despite winning the three presidential debates (according to most experts), as well as out fundraising and spending her opponent – and winning the nation’s popular vote – she fell short of her goal in collecting the required Electoral College magic number of 270. She, along with many others, watched in disbelief as the results rolled in and a plurality of America’s voice was heard. Donald J. Trump had connected with the anger, the disappointment, and the feeling of being left behind many American’s voiced as he traversed the country and growled about how he could “make America great again”. A shift of major proportions was underway. Change, discontinuous and not incremental change, had carried the day, and it remains to be seen how the great American experiment of democracy will deal with this shift moving forward. This is not a book about politics or even history. 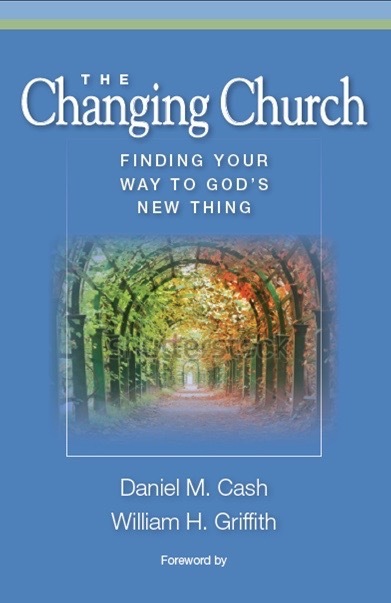 It’s a book about change, specifically 8 Great Paradigm Shifts that we identify in scripture. But before describing these 8 shifts and inviting you into a detailed study of each of them, we want to suggest that change – including major paradigm change – has been a constant in the human experience. We all have paradigms by which we define our experience of the world. These models or patterns of thinking and behaving can become settled and stagnant over time. They represent our status quo – the ordinary, routine ways by which we define and experience life. For example, I (Dan) grew up in a rural part of Indiana with a strong understanding of the importance of one’s nuclear family, the Christian faith community represented in one’s local church, and a love and appreciation for country expressed in patriotic pride and celebration of civic holidays. My paradigm blended these three things in such a way that love of God, love of country and love of family were at times overlapped and even intersecting. I suspect that many others of my generation and a Midwestern middle class white male upbringing would recognize this paradigm. It was reinforced by family gatherings and church services that followed the civic holiday calendar as much or more than the church calendar. For example: Mother’s Day, Father’s Day and the Fourth of July carried more weight than the observance of Lent, Pentecost or even Advent. As I furthered my education through college and seminary and moved away from my childhood environment, worshipping and serving, as a student intern, with a suburban congregation in the metropolitan Chicago area; my models of thinking began to be challenged. I came into a church experience that was built around the Church or liturgical year as opposed to what is sometimes called the Hallmark calendar. I was challenged to think about one’s identity as a child of the kingdom of God first and foremost, and how patriotism and love of country fit with that. And my worldview was broadened by interaction with persons well beyond my nuclear family. In short, I realized that others viewed and experienced life much differently than I had. They had other models and patterns from which to understand the world. Someone from an urban environment, or a single parent home, or a non-white ethnicity, or non-American citizenry, or non-male gender identity had her own, or his own, patterns and models of thinking. Through my education and call to ministry my paradigm was shifting, just as yours may have over the years. Every age lives through paradigm shifts. Consider some of the big ones western society has witnessed. In transportation: from horse and buggy to automobile to airplane to space travel. In technology: How we tell time – from sun dials, to wind-up clocks and watches, to digital watches and mobile device – the digitalization of photography and music. Mobile smart phones – which are so much more than just phones – have introduced changes in communication – do you text? Serve the web? Shop via your phone? Social media has introduced shifts in how people are in relationship. The church has not been immune to shifts and change either. Consider how worship has changed over the years, perhaps even within your congregation. How has technology changed your approach to ministry? How is church governance shifting and changing? How is denominational life and other forms of networking different today than it was just ten or twenty years ago? In our denomination (American Baptist Churches USA) we each began and shared ministry under a hub and spoke model. The national office, located in Valley Forge, PA or one’s regional office was seen as the hub; dispensing information and ministry resources to the spokes (local churches and ministries) through national and regional staff. Today it’s different. Denominational resources are vastly diminished and staff is having to learn how to partner with local churches and ministries in new ways that revolve around grass roots mission and ministry efforts. Local churches and ministries have access to all kinds of networks and resources that include, but are not exclusive or even primary, to their denominational connections. It’s all changed. But is any of this new? Hasn’t change, even change of the paradigm shifting variety, been with us since the beginning? We think it has. We think this type of change has companioned faith in its migratory journey over time. We think God has often used change to gain our attention and reveal the “new thing” God is about in our midst. Many of the changes we’ve identified above are external changes. How one tells time, travels, sings and uses technology for worship may be noteworthy; but it’s all mostly external to one’s personal experience and belief system. The 8 Paradigm Shifts we identify and invite you to explore in this book are not external. They are internal – changes that God has used to connect, to call forth, and to reach God’s people over time. They represent a progression of the understanding of God’s love, never giving up on humankind and continuously seeking to gain our attention and welcome us into a loving experience of redemption and community. The Bible is filled with stories of change. We need only mention the Garden of Eden story to discover a first shift. We see Adam and Eve shift from a protected life in the peaceful paradise to having to leave Eden and earn a living on their own. Noah’s story and the Tower of Babel story quickly follow, and that’s just a few chapters into Genesis. In this study, we will explore the following eight paradigm shifts of faith that we believe are important for discovering the zealous nature of God’s love for all people. We will begin with Jesus’ parable of the new wineskins from the gospel narratives as a means of cementing our understanding of God’s approach to change. This umbrella teaching on change will set the tone for our further exploration. That exploration will take us to investigate and study the paradigm shifts of incarnation, an invitation to be “born again”, Jesus’ kingdom manifesto message, the shift announcing a change from old covenant to new covenant, the resurrection, Pentecost, and a final session we’re calling “everybody welcome”. Each chapter will also introduce a change element designed to help the reader think through how persons react to and process change. These elements are intended to offer some teaching or insight from the field of leading change to the overall conversation. They might be a model, table or teaching about change that we will invite you to bring into dialogue with the biblical story and your own story of ministry, life and change. Over the course of the book we will explore the following change related elements: common responses to change, obstacles to change and how to face them, the bell curve of change and change acceptance, types of change being faced today, processes for leading change, covenant understandings of change, triggers of change and the rate or pace of change. The change element we would have you consider with this introduction concerns our common human responses to change. Perhaps they can best be summed up in the quote that appears at the top of this introduction: “Everyone agrees that change needs to happen, but most people would like the change to look strangely like the way it is now.5” Social science, and life experience confirms this and tells us that persons typically react to change through one or more of the following behaviors: a. Change makes them feel uncomfortable. The old adage states: “No one likes change but a wet baby!” We find that acknowledgement of the discomfort brought on by change is a key strategy in helping persons identify and confront what they/we are feeling. Saying something like, “I know this may not be comfortable for us”, or “I want to acknowledge that we are all feeling a little uneasy” helps to surface the feeling and put leader and group on the same page. I (Bill) began my ministry as the Minister of Education and Youth in 1964 on a multiple staff in Paterson, NJ. It was an all-white member congregation in a changing neighborhood that had become predominately black. Church members had moved to the suburbs and drove back into the city. Each summer we offered a two-week Vacation Bible School, which attracted 200 neighborhood children, but after the two weeks we had no further contact with the children or the neighborhood. I felt we needed to discuss how we might expand on our contact with the children beyond the two weeks in the summer. The members of the Christian Education Board asked me if I had any suggestions on what we might do. I shared with them my idea of having a tutoring program to provide one-on-one assistance for the children in the elementary school. The response was silence and I could sense this idea was making some uncomfortable. I then shared that I wasn’t completely comfortable with my own idea because I had never done anything like this before, but I did grow up and attend school in an inner-city neighborhood (Akron, Ohio) and I knew the struggles children had in school because they received limited help at home. I was assuming the children in our church neighborhood might be having a similar experience. I offered to explore the idea with the local elementary school principal and bring back my findings. There was consensus with the understanding that I would be sure the principal knew we were just “exploring” the idea. I agreed. I knew some had reservations and I wasn’t sure about their level of interest. I even thought they might have been putting off sharing their opinions, and they wanted to talk about it outside the board meeting. The principal was very interested in the idea and confirmed that she had numerous children who needed such assistance. She suggested if we were to do it I should have a firm commitment from the number of people who would accept the opportunity, and give her the number and she would select the children and do the networking with the parents. I mentioned to her that I felt Saturday would be the best time to do this each week because the folks I was hoping to enlist were not available immediately after school. I took my information back to the board and it was discussed at length and although some still had reservations, all agreed we should pursue it. After months exploring and discussing the idea 60 persons volunteered to commit to one hour each Saturday morning. The principal followed through with selecting the children and providing the information to the families and the following September the program began, and it proved to be an enriching experience for all the adults who made the commitment. I look back and see how we all had some reservations, but the process took time to allow persons to own the change and invest in it. It was a valuable learning experience for me that shaped my entire ministry and how I approached introducing change into congregational ministry. When were you last uncomfortable because of a change that you were facing? How did you respond? What made you more comfortable moving forward? b. We feel we are in it alone – the only one being asked to make the change. Change has an isolating influence on people. Even when we are part of a group being asked to change, we tend to initially experience the change in isolation. We focus first on self and the sacrifices or disruptions that we are confronting. For example, when the Affordable Care Act, commonly known as Obamacare, caused major disruption in the health insurance industry many people faced change in their personal health insurance provider or coverage. In nine years of current ministry with the same church, Dan has had to adjust to five different health care plans because of residual changes that were anticipated or instigated from this law. With the election of the Trump administration and promise to repeal, it would appear changes in health insurance will be ongoing. But the above sentences simply prove the point of this isolated reaction to change; because it wasn’t just Dan facing this change, but the entire ministry staff of the First Baptist Church of Columbus, Indiana (and many, many others across the nation). When did you last feel all alone in change, only to later realize others were facing the same change? How did learning you had company in facing change make a difference? c.	We think we do not have the resources to face or work through the change. This is another common reaction to change in both individuals and groups. We often initially react to change by saying things like: I/we don’t have the time, money, knowledge, personnel, experience, energy, patience or skill to make that change. I (Bill) recall receiving a mailing from Eastern Baptist Theological Seminary (now Palmer) announcing their new Doctor of Ministry program back in the early 70’s. I only lived 25 miles from the seminary and I had a fleeting thought that it would be a good continuing education experience. I say fleeting because never in my wildest dreams did I ever feel like I would be interested in a doctoral program. I immediately dismissed the thought because throughout my educational experiences I was only an average student. Knowing that, I concluded I was not doctorial material. In spite of my misgivings I didn’t throw the program material away. A few days later I began looking through it and was impressed with the emphasis on it being a practical degree that provided the opportunity for a pastor to work with the congregational on a specific need that either of them had. As I read through the material I saw the expectations for the student to be in classes four weeks the first year with the second year dedicated to independent work writing the thesis. Again I concluded that much time away would be a lot to ask since I had only been at the church for two years. I also didn’t know how I would be able to fulfill my duties as the senior pastor, husband and father of three, and take on an additional commitment. I concluded it would be impossible; but I still kept the program material. A few weeks later I received another mailing inviting pastors to a lecture at Rutgers University to hear Dr. Kubler-Ross speak on her latest book “On Death and Dying.” I went because if there was one weakness in my ministry it was ministering to folks who were dying. I needed some guidance so I signed-up for the lecture and also bought her book and read it. After the lecture I had the opportunity to talk with her and she was very convincing that a person could learn how to help those who were dying and grieving. On my drive home from that lecture it dawned on me that if that was my weakness in ministry, then the laity in the church must also have a difficult time dealing with death and grief. Maybe this could be a topic I could explore with them in the doctorial program. Given my reservations regarding time and cost I concluded I would take the idea to the Pastoral Relations Committee. I felt like they would also share my reservations regarding time and costs and that would be the end of it. They were not only excited about it but they offered to fund it as my continuing education. As I look back on that experience I see it was a major paradigm shift that shaped my entire ministry from that time on. My thesis was “Death and Dying from the perspective of the caring professions: A Curriculum model for the Local Church.” It was not only a good personal and congregational learning experience, but Judson Press invited me to work with them to have it published in a book. In 1975 the book Confronting Death: help from the minister, physician, funeral director, and lawyer was published. After 35 years of pastoral ministry I retired and became a hospice chaplain and wrote two more books on death and grief. That one decision was a major paradigm shift that I almost didn’t make because I thought I didn’t have the resources. What biblical leaders come to mind as you think about this reaction? Who made excuses to God (or Jesus) when being asked to make a life change? What resource shortage did they cite? d.	We revert to old behaviors as soon as the pressure is off. This is the principle of homeostasis – the system’s desire to maintain balance or the status quo. A good way to envision homeostasis is to think of a rubber band being pulled tight in one direction. As soon as the band is released it will snap back to its former resting position. I (Dan) remember working alongside a congregation once in regional judicatory ministry that had been asked by its pastoral leader to make a significant change in its worship style. The pastor had gone to a large pastor’s conference and become converted to a “seeker” oriented approach to worship. Upon returning home he implemented some of these changes on his own authority resulting in the removal of all hymnals, installation of a projector and screen, and replacement of the church’s organ with an electronic keyboard equipped with bells and whistles of various instrumentation. The pastor did not get to enjoy the fruits of his labor, however; because he was terminated the first Sunday after he introduced these changes. Furthermore, before that day was over, the hymnals were back in place, projector and screen dismantled, and organ restored while the electronic keyboard was sent to storage. This anecdotal account of change may say more about a lack of process and poor implementation, but it clearly also demonstrates the restoration of homeostasis. When have you seen a person or system revert to old behaviors when the pressure to change was in some way lessoned or turned off? Do you have a personal story of such behavior? e.	We can only accept so much change at one time. When have you experienced a high volume and/or rate of change in your life? How has this made you feel? Finally, each chapter comes with discussion questions designed to help you think through the content of the chapter with a small group or class, or by yourself as an individual reader. We hope you will utilize these questions to spark conversation and thought that is contextual to the challenges, paradigm shifts and changes you are facing. Your willingness to engage with this study may be an indicator that you know change is constant companion to life. You may also be experiencing change that is paradigmatic in nature. What better way to learn and reflect on this change than through a discovery of Faith’s 8 Great Paradigm Shifts. 1. How do you usually react to change? Can you give examples? 2. If you were to make a list of the major paradigm shifts that have taken place on the world stage during your lifetime, what would put on that list? 3. Now let’s think more personally. What would be on your list of personal paradigm shifts in your lifetime? Ways your thinking or living has significantly change? 4. Which of the above changes did you resist the most? Why? 5. Which change has had the most influence in shaping your life? 6. In the narrative of this introduction we mentioned a couple of biblical shifts that happened within the first chapters of Genesis (Noah’s story and the Tower of Babel). What other biblical stories come to mind you would consider to be major paradigm shifts of faith? 7. Which of the five typical reactions to change listed above do you most identify with? Why? What other reaction have you often witnessed in groups when change is introduced? 1 Nelson, Gary V. and Dickens, Peter M. Leading in Disorienting Times: Navigating Church and Organizational Change. (Duluth, GA: Chalice Press: TCP Books, 2015),74. 3 Rohr, Richard and Morrell, Mike. The Divine Dance: The Trinity and Your Transformation. (New Kensington, PA: Whitaker House, 2016), 36. 5 Nelson and Dickens, 74.